Photographers are just beginning to realize the potential of high dynamic range imaging (HDRI). Now, the newest techniques based on a bracketed series of exposures make it possible to go beyond HDRI: photographers can increase resolution for ultra-sharp, detailed images, and they can extend the depth of field in a way that was never before possible. 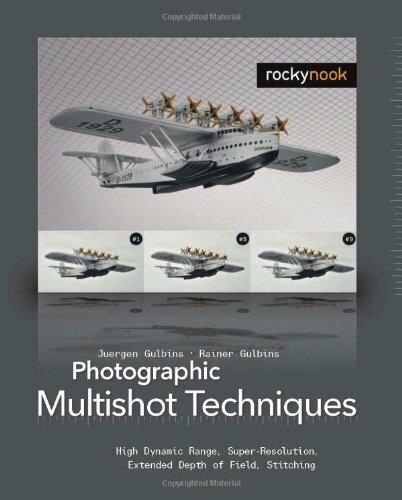 Photographic Multishot Techniques provides a thorough introduction and is a hands-on guide to these various techniques. Using a series of example images, the authors explain and illustrate the use of each technique. Included are lessons on HDRI, super-resolution, focus stacking, and stitching images. Moreover, the reader will learn how to effectively combine these various techniques to create amazing images. Throughout the book, the authors use tools such as Photoshop, PhotoAcute, Photomatix Pro, FDRTools, CombineZM, DOP Detail Extractor, and Helicon Focus to illustrate the workflow with detailed, step-by-step instructions. Most of these tools offer free trial versions that are available for download at http://www.rockynook.com/tools.phpwww.rockynook.com/tools.php. Learning to use these cutting-edge techniques is sure to expand the repertoire and improve the photographic skills of the professional, as well as the advanced amateur, photographer. Well, for me this was a difficult book to give a review. I have been doing Panorama, HDRI and Multi Layer imagery for about nine years and most of what I learned was on the job training (and making a lot of mistakes). The book is well produced, easy to read and has superb graphics. For the novice or the beginner this waould be a good place to start if he didn't get bogged down in too much technicality. With all my background I found it difficult to follow some of the really technical stuff. Two members of our camer club that are not into the multishot techniques gave up reading of the technical parts. My biggest gripe is that there is too much post preduction computer work described along with too many different softwares. I feel that to start exploring these special photographic techniques there has to be a much greater understaning of the work of hte camera and the peripherial equipment needed. The reading of any book is good and this one can only enhance a photographic library. It is a nice book after all, although the fact is that because of my own research as a hobbyist photographer there were lot of things in this book that I've encountered before. Anyway, it is a very good book for beginners. I do advise reading it. The new things to me in this book were somehow below 50%, but I guess for a newbie it would be more than 50%. However, I did learn new things, like the concept of Super-resolution which was completely new to me, and other things embedded in the context. It might be an aid also for people who think of buying (or already have) macro lenses. But be careful. If your aim was to read and learn more about the camera and techniques of the camera itself, then think twice before buying this book. It is a good book, but it is heavy-loaded with software discussions more than discussions and tutorials about the camera work itself. The second and third chapters specifically were so much loaded with information that kept me lost a bit while reading, but as I work with the camera for some time now, there are lot of numbers mentioned there that I wouldn't really think of when I usually work behind the camera. Sort of things that come naturally I guess. Also, there were some points that I do find not correct, or maybe simply because the book is printed in 2008 probably and the softwares changed by then. The author, for example, mentions that Photoshop do not deal with HDR images in photomerge command (but which version of photoshop he meant is not clear in the context), while in fact I worked with this command with HDR images before. Maybe the author means CS3 specifically, while the fact is I jumped from CS2 to CS4, and I didn't try CS3 to confirm this. One last personal experiment is, I find Photomatix alignment power is superior to Photoshop CS4, while the author mentions the opposite. However, it could be he is talking about an older Photomatix version. All in all, it is good for all. It has references in the context for other books like Christian Bloch's HDRI handbook, and Harald Wöste's Panoramic Photography book. Such references are good I believe to guide new comers to the field. These two books are great. Beside that as well, there is an extensive list of references and links at the end of the book (links, forums, books..etc). I would say this book would be a good starting point for new comers, for it grabs a stick from every valley. The introductory sections are quite good, introducing the reader to basic multishot workflow techniques. However, there's not much here for the more advanced reader. For example, the book explains how RAW files differ from processed files, but doesn't really explore the pros and cons of feeding RAW files straight into multishot processing vs pre-processing them in a separate RAW convertor. Surprisingly, the authors decide to start their exploration of multishot techniques with super-resolution, combining very similar shots to increase resolution or decrease noise. This is an odd choice, partly because it's a relatively rare requirement, and partly because the only effective software support appears to be from PhotoAcute, which makes this a "one solution" chapter. Given that there's another section at the end dealing with issues like sharpening and local contrast enhancement, it might have made more sense in that position. The section on panoramic stitching is particularly disappointing. Although there are a wealth of alternatives available, some of which are absolutely excellent, the authors don't do a single worked example using anything other than Photoshop 's Photomerge command. They also use some very poor examples: some are just bad photography, like the wedding group with a number of people facing away from the camera, but others simply emphasise the limitations of the Photoshop focus. In one example the authors show a first-cut panorama which Photoshop has distorted wildly and stitched badly, but there is no "corrected" version. HDR gets a better treatment, but again very much "Photoshop first". After a good introduction to the general subject, the first worked example uses manual blending of layers in Photoshop, then there's a brief but effective example with PhotoAcute, then it's back to Photoshop again! Finally they get to the clear leader in this space, Photomatix Pro, but again there's very little attempt to explore the options of this powerful software. One key function is simply described by comparison to a Photoshop CS3 function, which is meaningless if you don't have that software. FDRTools gets a surprisingly detailed review, given that the authors were working with a beta release of the software which was clearly not fully functional. The final section is about improving image micro-contrast. While of interest, it's not really a multishot technique, being more about various post-processing options in Photoshop. This is another missed opportunity to explore the trade-offs between pre-processing and post-processing component images, which would have perhaps been more useful. Photographic Multishot Techniques fills a very important niche in photo books. Part of the power of digital photography is using specialized software that would be difficult if not absolutely impossible to create using film. Super-Resolution, Focus Stacking and HDRI (High Dynamic Range Images) are just a few of the things that couldn't be done with film. This book covers these techniques and more. Most significantly free and low copst software is used wherever possible. The authors cover the use of the software mentioned and give step by step instructions while simply and clearly explaining the pros and cons to different techniques. The software listed and described alone is worth more than the price of the book. Capturing what the eye sees. The human eye/brain combination presents us with a much wider dynamic range of light and focus than any image from a camera can. However, it is possible to combine images to greatly extend what a digital camera captures. By combining images of different exposure in high dynamic range (HDR) photography you can make a photo that more accurately represents the scene you saw. The same is true of focus. The eye will make everything in most of our field of view in focus. A camera focuses on one distance. In bright light it's possible to capture a photo that has a lot of clarity, but in low light, what's in focus is pretty narrow. Again, by combining multiple images, it's possible to create a photo that captures a wide range of focus through focus stacking. Panorama creation is also covered. Photographic Multishot Techniques explains how to achieve these results. It starts with an explanation of how to take photos for best results. It all starts with the camera. It presents a few programs necessary to work with multiple shots and walks us through the steps necessary. Strengths and weaknesses of each program are discussed with no apparent bias. Techniques are presented through examples that are clear. Both the why and how for each technique are included. It's simply the most inclusive multi-shot technique book available and creates a high bar for any that follow. This book came highly recommended to me, and since lighting skills are so essential to great photography, I felt that I really needed to start from scratch and learn what I could. I thought that a book devoted to lighting would be a great start, but was slightly disappointed in this title. It repeated (and in a very choppy layout that made it hard to follow) much of the same information I've gotten from lighting chapters in photography books with wider subject matter. While the information could be great for someone who isn't more widely read, I found it to be a bit tedious. While some of the featured images are great, and the detailed captions leave almost nothing to be desired, many of them are repeated throughout Bill Hurter's other titles, making it hard to find new and different perspectives, and making the book's information seem even more repetitive. One of the only chapters I thought might be helpful was the equipment guide, giving guidelines for what types of equipment to purchase...but was disappointed in the writing of the chapter. The information was presented in a confusing and rather boring way, and while I was looking forward to learning that chapter, I have to say I retained almost none of the information. All in all, you might be better off with an all-inclusive basics book than one of these mini-guides, but the choice is yours. I personally can recommend the Lighting Photo Workshop, as it gives you much of the same information as this title, but in a much more organized and informative format, with helpful assignments at the end of each chapter to help you apply what you've learned. Great images telling you exactly how they were made! This book is one of the few that actually has fantastic photography and tells you exactly how they were created (lighting sources and positions). If you are like me, I don't find photo books that have amateur photos to be as inspiring, as ones that are created by true photographic artists creating brilliant artwork. This book will not disappoint, but will surely inspire! This book does have some above average photos.If that's what you want, then you should get it.THe layout of the book makes the book useless.Repeated most of the knowledge you already knew. Dont waste your money like me.It's an useless book. The book is OK, definitely not the "best" book but not bad either.There are some very straight-forward instructions on studio and some location lighting, but not terribly in depth.The lighting diagrams are helpful, but at least one diagram contradicts the text (states that a light goes in a different direction than the diagram).Nevertheless, I found this book helpful, but still I need another text so that I can learn more basics.There were two things I found distracting.The first was some rather blatant plugging of certain photographers, whose photo examples I did not find particulary noteworthy.The second is extensive side notes under each photo example.The side notes are great, and very helpful, but they are so long they distract from the actual text of the book - making the layout very choppy.Still a decent text. Emphasizing how to work with natural light rather than using supplementary lighting to create an artificial environment, photographers can use these simple techniques to mold existing light into the desired quality and shape. All situations are discussed, including overcast and sunny days, backlighting and flare, window light, daylight studios, natural reflectors, and studio lighting at home, offering a plethora of ideas for finding, diffusing, and creating light. As photographers learn the advantages of shooting with available light—no set up, more spontaneity, more time to concentrate on the subject, and the ability to capture preexisting relationships—they not only become better photographers but gain confidence and an increased awareness of their artistic medium. 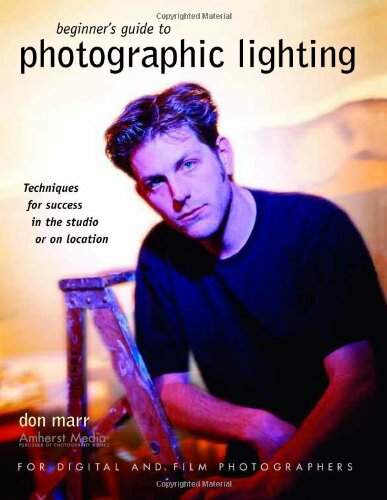 Donn Marr's "Available Light" is a simple, straightforward book that immediately changed the way I see light and the way I photograph using natural light.You often hear the idea of "taking your photography to the next level. "This book doesn't itself make that claim, yet it is one of the few photography books that can actually deliver that result.It is short, easy to read and to understand, and immediately applicable to your work. Many books discuss the qualities of light and how photographers need to be keenly aware of them, but often leave it up to you to figure out the details through experience and practice.You may or may not be able to then figure it all out on your own.This book actually guides you in exactly the right direction and truly helps to open your eyes to the intensity, direction, and quality of natural light, and then teaches you to work with it and modify it to create the softness/ hardness, direction, color, and intensity you want, whether you are working on an overcast day, at high noon, inside, outdoors, or any other type of situation.It makes one suddenly aware of the existence and potential use of natural reflectors everywhere which will help give you the lighting you want:a wall, the ground, a pole.And it explains the important concept and effective practice of subtractive lighting, used to even-out or create the desired lighting instead of turning to flash to artificially add to existing lighting.The author does not just guide you in finding and creating good light in any situation, but in light that fits your subject and the way in which you wish to portray them. The concepts in this book are so obvious and intuitive I didn't even write down a single note while reading it the first time.Then the next week I used what I learned and took one of the nicest, best lit spontaneous portraits I have ever taken. 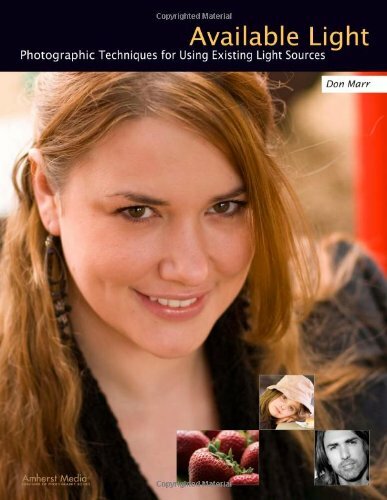 While many are happily joining the Strobist camp, this book offers a refreshing and viable alternative to that never-ending accumulation of equipment and techniques, and should be read by off-camera-flash fans as well so they can learn to look for beautiful natural lighting alternatives that will give them as-good or even better images, before setting up their lighting equipment and knocking down the natural light in order to rebuild it artificially.However the author is not against the (limited) use of flash, and certainly not against reflectors, and discusses their use in different situations. I highly recommend this book to photographers of every level.It is a wonderful book for beginners or intermediate photographers so that they can be aware of, understand, and use these concepts from the start, and it is just as helpful for advanced photographers who may intuitively practice some of the techniques, but will certainly become aware of even greater potential and opportunities in the use of available light. With so many photography books nowadays emphasizing the importance of buying the best (and most expensive) equipment, it was refreshing to find a book explaining how to use natural light (and readily-available artificial light) to take stunning portraits.With simple, easy-to-understand text (with the appropriate amount of humor thrown in) and photos showing the actual setup of the equipment, this book makes it a snap to create your own natural light studio.The author seems to understand, unlike many of his contemporaries, that most of us can't afford to go out and buy professional lighting.Pros set up main lights, kicker lights, beauty lights, hair lights and umbrella lights to perfectly illuminate their subject.Don Marr shows you how to achieve the same results using sunlight, cheap reflectors and your home or neighborhood buildings.An excellent reference for the amateur photographer on a budget. I had always heard that an overcast day means the clouds are acting like a giant diffuser, so it is a great day for taking photographs.So why did my photos fail to be stunning?And why were the photos I took in front of large windows so amazing?Why was my most favorite photograph of my children taken under a large porch overhang on a beach-grey deck?This book will help you understand the answers to these sorts of questions. 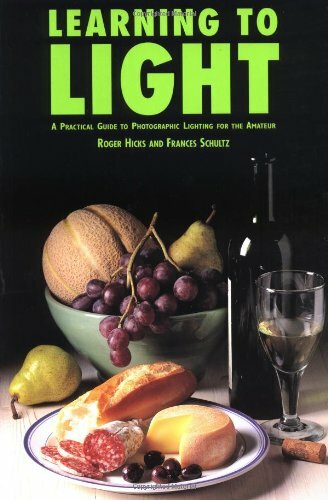 This book is just fantastic for anyone who is just starting to learn about light.You will learn how to use refectors, diffusers, flags and scrims to shape the light.You will learn how to make the most use of the light that is available.You will learn how to find good spots outside. Regarding the sample photographs - they are quite useful, particularly the wide angle ones that show you how the author set up a shot.But there are not very many "Wow!" photographs in the book. They are very natural shots, not formal or glamourous.Do not let that deter you from a purchase -the information in this book is great. One more thing, the author lets you know about inexpensive alternatives to expensive photography props, which I appreciate, but I do wish he had mentioned inexpensive alternatives to those tripod holders that he has in so many photographs holding diffusion material or reflectors or what have you.Looks like I may have to shell out the bucks for those. Anyway, did you know the answer to the questions above?It has to do with the direction of the light. A book that will help you break your addiction to trying to light everything. This is a refreshing book.The author shows what can be done with just a camera, a few reflectors and a good understanding of the light that exist all around us.While the images aren't quite as polished as photos done in expensively equipped studios he does a good job explaining how to augment and control existing light and how to maximize your ability to make good portraits just about everywhere. I particularly liked a section that is done outdoors with a square of translucent white material suspended over a model,a piece of white board being directly illuminated from the sun and another white board bouncing light into the model.It looks just like a "white out" background shot that so many struggle to get just right in the studio but it is a method that can be set up quickly and for very little money. Pssst, wanna make a weird photograph? How about a moody blue cyanotype or a Kallitype? Or maybe a ziatype, anthotype, or Ambrotype? Or perhaps you'd just like to know more about image transfer processes or how to make a pinhole camera. Imagine knowing a really cool guy who casually tells you lots of valuable stuff about the history and science of photography while you're working in his experimental darkroom, and you've got the essence of the unusual and delightful Book of Alternative Photographic Processes. Christopher James, a photographer and former Harvard University professor, leads you carefully through the chemistry and use of materials for each process. He offers numerous ways to make negatives and prepare the printing paper, and he coaches you in understanding and accepting the enormously variable effects of each method. Seven useful appendices deal with such topics as safety considerations and resources on the Web. Unlike the narrowly task-oriented approach of average how-to guide, this one points you to a much bigger world. Even the illustrations include a generous assortment of contemporary prints--among them James's own inventive images--as well as work by 19th- and early-20th-century photographers. They were the ones who pioneered most of the techniques that are now considered "alternative." As far as this book is concerned, I have a great time reading it, experimenting with it and using it in my work.I am very inspired by the hundreds of images and ideas.You have to get yourself into a care-free frame of mind to try this stuff.I have always been a technical printer, managing every aspect in the darkroom to the Nth degree so I get the results I want every time.With The Book of Alternative Processes, I have learned to throw caution to the wind and just let what happens... happen.Not that I can't get calculated results.Take notes and you can get consistent images.However, it's been fantastically liberating and fun to play, and I've come up with some amazing images.Not always what I intended, but it's letting the artist in me shine.I have a renewed love of photography and am able to use both digital and analog skills while doing it.It's so much more fun and interesting than standard, straight photography, in my opinion. As far as taking a class with Christopher (Alt Pro at Maine Media Workshops in Rockport), he apparently has a PhD in psychology, meaning he managed to work out my "isms" in one short week without even knowing what they were.In his many years of teaching, it seems he's developed and honed an intuitive sense of what each individual needs in his classroom.I saw him ribbing some people, being extremely gentle with others, very technical with a few and mostly bending over backwards to reach everyone on their own level.I have never come across a teacher like Christopher.I've come across a lot of teachers who are opinionated and brash and who manage to trample or gently quell any artistic ambition a student may have.Christopher, on the other hand, (and I risk making him sound like a saint) has the ability to make even the most inept and inexperienced student feel like there's nothing they can't do.He made me feel like my work was valuable, regardless of what he may personally think, because it's important to me.What a rush.He has a gift and I am extremely thankful that he chooses to share it with others.I really DO love this!Now go read his book with these thought in mind and you'll get it. Great Book, exactly what I was looking for! This book is great, has step-by-step recipes and explanations of the chemicals, how to set up your darkroom, digital negatives and paper.Every page has examples of the process it's working on, and gives a lot of ideas of different things to try.Plus, it's funny!Don't think I'll need another book for a long time. This is a must have if you intend to pursue alternative processes.The volume is replete with the technical information you need to succeed, written by a renowned teacher in this field. The author's own experience working with alternative processes, as well as his ongoing work with students and his connections with other experts in this area, inform his writing and make this the definitive work on the how-tos of alternative process techniques. In addition to technical information, James provides a rich historical context for the evolution of the processes he teaches; a context that is amusing and full of intrigue and intellect. Most importantly to me, the book is an anthem to photography, what it can be when done right, and how you might find what done right means for you.You could purchase the book simply for the illustrations, an exceptional selection of historically important work, work by the author and his students, and work by exceptionally gifted artists in the alternative process field.These are images you will remember. 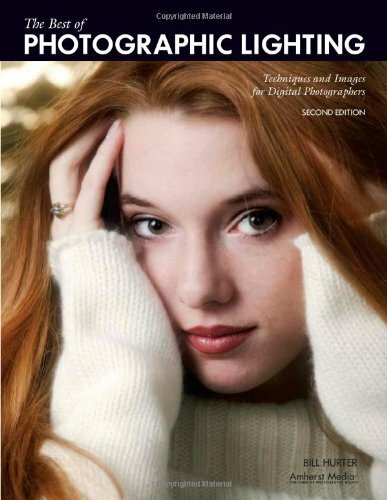 This is a great book for either an experienced photographer or a beginner. It is well written and easy to follow. For a reference book it is wonderful, illustrations and detailed how to guides. In terms of historical detail covered, this book rates pretty high. There are plenty of interesting anecdotes, and even if the author's own opinions may seem oddball at times (solar storm wiping out all digital data on the planet), they spice up the read. When it comes to the chemicals and processes themselves, a great deal of detail is also there, with many variations in the individual processes as well as hints from the author's own experience. The problem with the book lies in its functionality. Sure, it's all in there, but, the problem lies in separating the details of processes from the historical background and other random chatter. So, as a photographer who wakes up, asses the weather forecast and decides what to do, I inevitably turn to another source of information for how to work. Over 25 unique effects illustrated with process photos, finished examples, and variations. 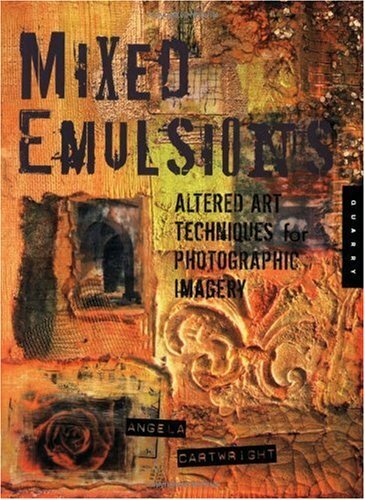 Mixed Emulsions is a follow up to Karen Michel's book, The Complete Guide to Altered Imagery. Mixed Emulsions: Altered Art Techniques for Photographic Imagery takes a slightly different tact, bringing traditional and digital photography front and center, showing the many ways that photographic imagery can be manipulated, not electronically, but using various art materials and techniques. The chapters explore ways to add color (paints, oil sticks, watercolors, inks), ways to add texture (embossing powders, gessos, pastes, wax), and special effects (printing on unusual substrates, imprinting, photo mosaics, using tissue, fabric, cardboard). Altered art continues to grow as an area of interest for many kinds of crafters. Awesome information on how to manipulate traditional materials & techniques of photographic imagery. Clear and concise. Excellent photographic examples and a wonderful gallery of artist's work. This is a great technique book for artists looking to expand their creative possibilities with altered photography. I loved this book and can't wait to try some of these uniquely creative ideas. I have many books but the details, resource list, explanations, etc. etc. are wonderful in this publication and far surpass my other resources. The author is very unique.I look forward to more books being written by Angela. I found this book to be a whole lot of "look at what I did" and too little "look what YOU can do".There are instructions, but not nearly enough, not clear enough and not thorough enough.I hate to return things but this is definately going back. Superb book. Sparks my creativity. Well written by this child star, directed to a beginner and at the same time giving new ideas and inspirations to an established artist. If you are a photographer looking to add some creativity to your work, here's a place to start. Needing new ideas or new product... look here. very good and clear explanation what light can do for your photo's with examples how to. The title will give you the impression this book is basic, however I didn't find it that way. It is an excellent book, I review often, but if you know nothing about lighting, it is a little hard to follow the first time through. I think this is mostly due to the author not having diagrams to show lighting positions. Also if the lingo is new to you, you will probally spend a little time going back and forth from the subject to defenitions of terms. 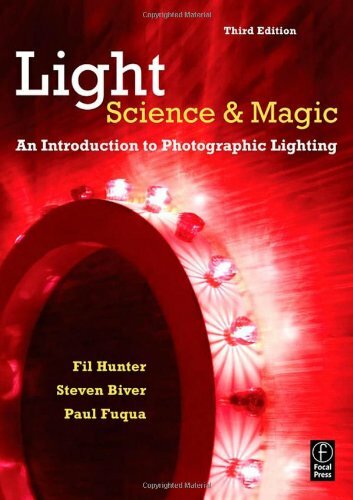 However if you want to learn to light, you want to undertand how light works in various scenarios, you should buy this book. I've taken a variety of classes and read a number of books to improve my lighting skills. i found this book to be the one that delivered the best "a-ha" breakthrough on understanding the basics of lighting--and then some. the author very systematically goes through metering and set-up for a single light shoot, and then adding additional lights and other techniques to produce cool results. he also provides some extremely useful methods for working with what you've got (boring backgrounds, mixed lighting conditions etc.) to produce some very interesting and satisfying results. all one really has to do is follow the exersizes that he demonstrates through diagrams and photo examples in order to learn the techniques he recommends. I found this book to include more than enough--but not too much--information. it was neither too simplistic or too overwhelming. i recommend it to photographer friends who are strobe-phobic and thumb through it again periodically as a refresher. Congratulations - you bought a fancy camera, purchase expensive lighting equipment, now you are searching for a book to help you learn the tricks of the trade.Sadly, you search DOES NOT end here.This book, if you want to read it is much better checked out from the free library than purchasing it.The author sorely misses the idea of what beginners need to succeed in studio photogrpahy.The images seem out dated and the author provides no diagrams.In an attempt to make his book readable to a larger audience he waste space assuming that his readers do not have the correct equipment for the job.Don't waste the money, but I cannot be too critical as there are some morsles of lighting wisdom scattered around. 50 Fast Photoshop "X" Techniques for is an immensely useful book for anyone wanting to take advantage of the very latest release of the world's top digital imaging tool, Adobe Photoshop. The techniques are valuable to both pros and hobbyists alike - they enable everyone to enjoy successful creation of fine art images and prints! The step-by-step and richly illustrated collection of awesome techniques are easily accessible and understandable to users on every level. This is a new kind of Photoshop book-one that can help both casual users through professional users save time while creating professional quality images and effects! Don't make the mistake I did when I saw Photoshop 7 and thought it was Photoshop Elements 7. 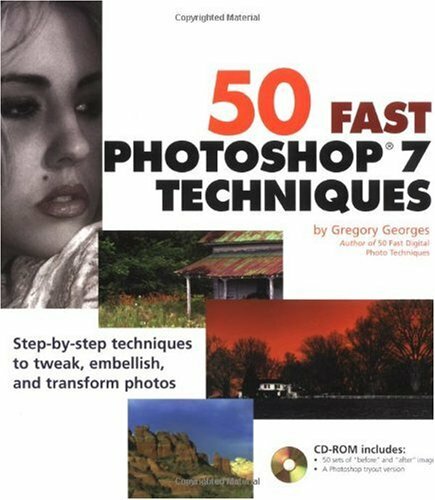 Although an excellent book, it is over 7 years old and most techniques can't be followed in Photoshop Elements 7. I have yet to get through all the tips and excersizes, but I am getting there. So far the directions are SUPER easy to follow and a lot of fun. The author is quirky and blunt and I like that. Defintely worth the purchase! Disjointed and seemingly written for the Windoze only crowd, give this book a pass and spend your money more wisely elsewhere. I read almost everything published, books to magazines. As a book for entry level digital photographers wishing to progress, this is the best book. I learned a few things too. Well done. While I like the book, the fact that it is ignorant of Mac (9 or OSX) commands is disappointing.Basically, Photoshop books today respectfully address and discuss both PC and Mac issues.This is standard. All the great Peachpit Press books, for example.If I had known that the author was a PC guy and not going to address any of this, I would not have purchased it. The cover makes no mention of this.Additionally, there are other errors in the book as well (as in directing you to a disk file which is misnumbered). Maybe this is my pet peeve, but I wasted time today figuring out how to do this stuff on a Mac when I wanted to be figuring out Photoshop techniques instead. skills will discover in this book both classic and progressive methods of creating and manipulating photographic images.It is a single, reliable source for techniques, ideas, and images involving the contemporary use of alternative photographic processes. Photographic Possibilities provides a single, reliable resourse for techiques, ideas, and images involving the contemporary use of alternative photographic procesesses.Professional Photographers and advanced students seeking to expand their skills will discover both modern and classic methods of creating and manipulating the photographic image. Works by almost 100 of North America's top contemporary photographers illustrate the techniques disussed.Photographic Possibilitites offers the reader both the information and the inspiration to create great photographs. This book offers the best of all worlds; it is inspired by fine art and its approach is down to earth and practical.Step by step instructions on historic and progressive processes are covered thouroughly and cocisely. A reliable source for all aspects of alternative photographic methods. Approaches material in a practical, concise manner. Although this is a vast improvement over the first edition, I still have reservations about the book. 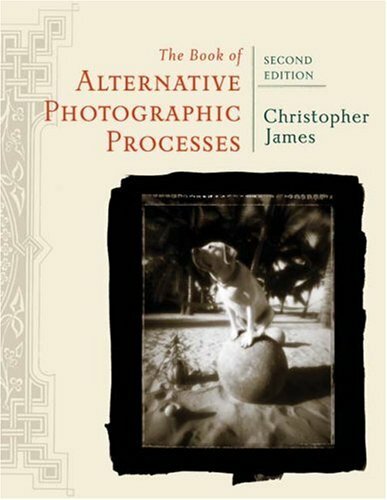 The essays are a bit oversimplified (Such as "Why we take pictures"), which don't seem to understand that the readers of a book about alternative processes are looking a bit deeper into the subject of photography. Artists such as Robert Parkeharrison and Mike and Doug Starn are mentioned, but I would like to know more about their processes and more importantly, why they believe these techniques are the best medium for their images. The technical information is well-presented, but there is one glaring omission that I believe is the book's main flaw: lack of color. A comprehensive chapter on toners leaves one frustrated as to what all these formulas look like when applied to a print. There are eight pages of full-color plates, but they mostly illustrate different artist's work, and not the processes that are described. Torn, as in whether to rate this book as a useful instructional guide, or boring casual reading. Torn, as in the author's feelings on whether to write about the sentiment and philosophy behind photography. Sections get weighed down by the author's need to discuss (in overly maudlin terms) the creative expression offered by photography. I would have preferred a book to be either wholly technical or entirely emotional (and clearly presented as such, so that I could avoid it). Torn, as in the pages falling from this poorly bound book. Several friends have informed me that their copies fell apart, too. All in all, I found the procedural information to be clear and concise, covering not just basics, but some more interesting darkroom techniques. It seemed that the rest was serving as filler; personally I would prefer more picture examples and less of the non-procedural text. However, this book is a good alternative to some of the better, but unfortunately out of print, darkroom guides. Great!A must read for serious photographers. Although geared towards film cameras and processing it's an excellent source for studio lighting.I loved the diagrams and product set ups.This gives me a bunch of great ideas for still life shots and lighting effects.I definitely enjoyed this book! I am generally a nature photographer, using natural light for my work.However, I occasionally get asked to do some architectural or portrait shooting.I usually have to turn those opportunities down, because I know next-to-nothing about artificial lighting.I decided I needed to bone up on lighting techniques, and pick up this book the other day. It is a quick read, and a great introduction to basic lighting equipment and techniques. If you are already familiar with artificial lighting and are looking for advanced information, this is probably not the book for you.The audience for this book is someone like me, who is familiar with photography, but not with lighting. There is a lot of discussion in here about film types, light meters, and polaroid test shots that are irrelevant if you are shooting digital.Digital photography takes away a lot of the guesswork regarding white balance and exposure, so you can probably breeze over a lot of those parts of the book.But I was really focused on the types of lights, reflectors and other accessories, and their placement.And this book was a great intro to that. I regard myself as a reasonably knowlegable amateur - I know all about how exposure works, and I can use my flash bounced. But I know pretty much nothing about studio lighting. 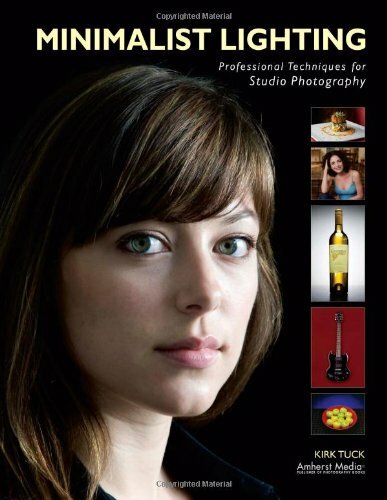 This book teaches, and teaches well, all about studio lighting, what equipment to buy and how to use it.The prose is clear, and the examples are more than up to the task of teaching the beginner.I learned alot from this book.I suspect that the people who found it inadequate simply knew more going in than I did.For a complete novice to studio lighting, I'd recommend this book without reservation. But the book is seriously showing its age.There's far too much discussion of film and it's uses, and the lightmeters that it discusses aready look a little... old.Hence the four star rating.If you can find another book on amazon for the complete beginner that actually handles digital issues instead of film, then consider buying that instead.I didn't, and I'm happy with my purchase. I'd give this 2 1/2 stars. It has a lot of very basic information in it, maybe what I'd call the FUNDAMENTALS of lighting which can be helpful. But it's pretty parsimonious in the information it provides. Since most buyers will probably be amateurs, I think the authors have short-changed the reader in areas like the meaning & effects of color temperatures or the various types of tungsten lighting & associated code keys. I don't think that's asking too much more for a book of this price (& title). The final impression I get from this book is that the authors are saving the good stuff for the next... book. While the author's enthusiasm is admirable, this book is primarily about convincing the reader to switch from film to digital -- and how the reader and their employees should proceed. It is heavy on the basics of digital photography, and heavy on the business/sales end. Not so much on technique aside from some photoshop effects, many of which are cringe-worthy. Early in the book the author discusses cheetah thinkers (just jump in!) and turtle thinkers (over analyzing everything), the most frightening of all being turtles TRYING to be cheetahs. It's borderline offensive, and not a surprise at all when later in the book, the author reveals his business to think more along the cheetah philosophy. Mmm-hmmm. In general it is kind of cutely written, I can tell the author has been in business as an old-school photography guy, and while he's excited about digital photography and computers, in many places he has NO IDEA about the internet marketplace or modern workflow. Kind of like when your Dad discovers text messaging on his cell phone, or when your aunt gets e-mail and sends you forwards with virus warnings. This book was written in 2002 (or earlier) and simply isn't applicable for digital methods and equipment today. The author recommends you speak with a local computer programmer (?!) to figure out what kind of starter computer to get, and how to sell stock photos to local vendors. The short of it? If you are an aspiring digital photographer, save your money. Get Digital Wedding Photography: Capturing Beautiful Memories by Glen Johnson instead. This is a book about marketing NOT photography! If you want to know about the business side of it, this is the book to get, otherwise forget it. It's a waste of money! My wife and I are long-time photographers (digital and film) who are planning on adding wedding photography to our resumes.We found this book to be useless. 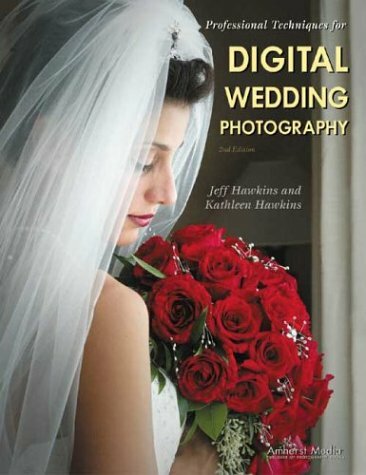 Consider the title: Professional Techniques for Digital Wedding Photography.First, there is very little content in this book that would qualify as a "professional technique. "In fact, only a handful of pages are dedicated to any sort of photographic technique.Second, much of the book is wasted trying to convince the reader that it's time to invest in digital photography.Well, if you've purchased a book for "...Digital Wedding Photography", there's a pretty good chance that you've already made (or are about to make) the leap into the digital medium. As for content, I am not sure to whom the authors are targeting this book.The initial chapters are spent trying to convince the professional photographer that his/her days are numbered if he/she is still shooting film.The remainder of the book appears to be targeting aspiring wedding photographers by providing a marginally useful discussion of the business end of wedding photography (something a professional is already familiar with) along with a very shallow treatment of Photoshop techniques.Finally, the photos are, by and large, less than inspirational. If you are a newbie hoping to start your own wedding photography business, this book may provide a few useful tidbits but won't do much to get you there.More likely, you will be annoyed by the condescending digital-or-nothing tone prevalent throughout this book.If you are a professional photographer, then you are probably already familiar with the pros & cons of switching to digital photography.If not, I suggest putting the $30 toward a new lens and try a free book instead: the Yellow Pages.Find a nearby professional camera shop.You'll get more information regarding the costs and advantages of going digital than you will from this book. Do not look at this book if you are interested in improving your photography.I has a few "tricks" for making some slick modern looking images in post production, but there is little to no mention of capturing the images on the day of the wedding.However, I would HIGHLY RECCOMEND this book to professional photographers looking to actually run their business like a business.Although some of the sales techniques in this book are "high pressure" they can easily be tuned down to fit the individual photographer's taste.The negative reviews I have seen in here so har have mostly been from people who are only interested in the art of photography, and not the business side of it.All I have to say is that digital is making the market far more competitive.Not making the transition to digital today would be like not making the transition to color a few decades ago.Film is going the way of "fine art" and will have little commercial use in the next few years. An in-depth guide to copying slides, photographs, paintings, line art, and more. Illustrates photographic restoration techniques for successfully copying faded or damaged prints. Discusses basic and advanced setups, such as copy stands, copyboards, and lighting equipment. Also provides detailed instructions for making internegatives and duplicating transparencies. Includes comparison photos to help you decide what film and process to use. Completely updated with a new chapter on using digital imaging for copying and duplicating. 144 pages (over 145 illustrations), 8-1/2 x 11. This easy-to-use, inexpensive book introduces beginning picture takers and makers to the fundamentals of photography and suggests ways in which they might create photographs that have meaning. Oriented toward traditional black and white photography, the book also explores digital techniques and web photography resources, equipment, cameras and camera accessories, the exposure and development of film, and the making and finishing of prints. All aspects of the process are explained and illustrated clearly in two-page spreads, each of which addresses a self-contained topic. For people who don't know anything about photography and would like to learn, and for those who want to make better pictures than they already do. 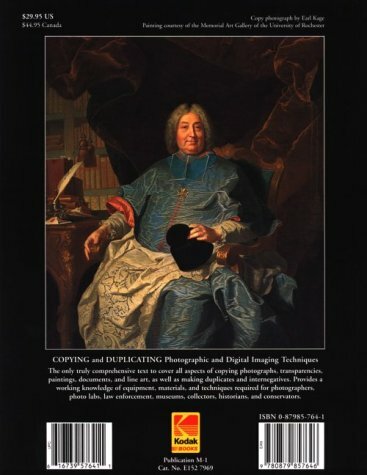 If your looking for a introduction to photograph textbook, then this is the one!Development, wet lab and techniques are all covered in this text. Of all the different books I had to buy for college, I found this one to be the best accompaniment to the class. As introductory, it really does not have the space to go into detail about any one aspect, but I feel it touches on enough that when exposed to words and concepts, one will understand them much more easily. Later upon enrolling in a specialized photography program at another school, I shared this book with several classmates, and they found it very helpful, buying copies of their own. Again, this book is exactly the introduction it claims to be. This plus some old beat-up 35mm SLR will be the best for a person to get started. 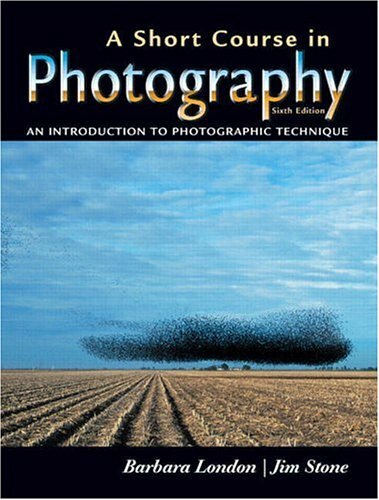 I'm currently enrolled in a Photography class and this book was a great refresher for the information I am learning in this class, and a whole lot more. If you are unfamiliar to the field of photography then this book will enlighten you. I'm astonished that this book seems not to have become a classic for photographers. The author establishes a vocabulary of lighting terms and then uses them to clearly explain how the photographer employs lighting for best effect. Many of the ideas presented are no-brainers, really, once the reader has read them. But not many authors explain things as cohesively as Kerr has done, and his style of analytical method is missing from a lot of modern photographic discourse. Perhaps the book is not popular because it's sparse in example photographs. These days, photography books are jam packed with authors' high quality photos. Pictures are useful but they aren't all there is to a good explanation. It seems that in books of photography, a brief, well-thought out sentence is worth a thousand pictures. The book isn't always perfect in its explanations, however, and it's sometimes a little dry, but it's generally very good. Anyone who enjoys photographing people and who hasn't already mastered the art will especially benefit from reading through this book at least a few times. At typical 'used' prices here at Amazon you can't lose. This book is divided into two parts. The first covers theory and makes a thorough presentation of what light is, how to describe the various attributes and qualities of light, and how it interacts with. The author breaks it down into six terms and then describes the terms and how they affect a subject. The second part of the book uses the topics covered in the first part of the book to show how these concepts are used in controlling light and making photographs. I'm new to photography and have only read 8-10 books so far. This book, hands down, beats them all. The first section is a little deep and takes some re-reading to understand what's going on. But the benefit is profound. Understanding the concepts presented here gives me the ability to critically analyze photos and make some determination as to how light is working (or not working) in a photo and what actions I need to take as a photographer in order to get the results I want. The style of some photos presented is dated, but the concepts and discussion is timeless. 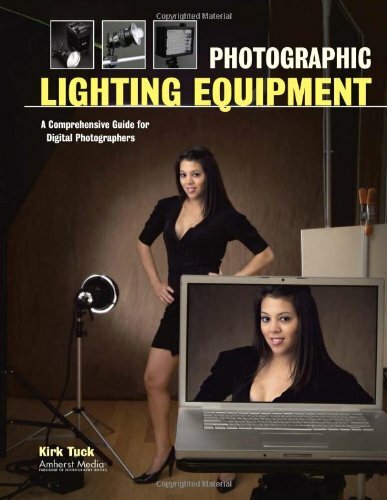 Is this the best photographic lighting book ever written? Review of the 1979 hardback edition. Included in this book are many of the lighting concepts that photographers may find familiar, but the author does an excellent job in delineating the differences in the qualities of light and explaining where they may be most appropriate. He recommends a decision-making approach to lighting the subject based on six terms describing the qualities of light - brightness, contrast, diffuse, color, specularand direction. Part 1 is concerned with the theory of light and covers vocabluary, light and shade realtionship, light and emotion and the control of light. Part II (more than half of the book) is made up of illustrations of images with sidebar analyses of how lighting was used and why it seems to work well in the photo. Several things I like about this book.The author goes back to art to illustrate the basis for several of the concepts explained in the book.The man is not a dictator - there is no certain way to present an image, there is the way you choose to do it but now you have some tools to understand why.Without being tech heavy he includes enough about lighting equipment to make it useful.He repeats concepts often enough and in different contexts so you understand them. 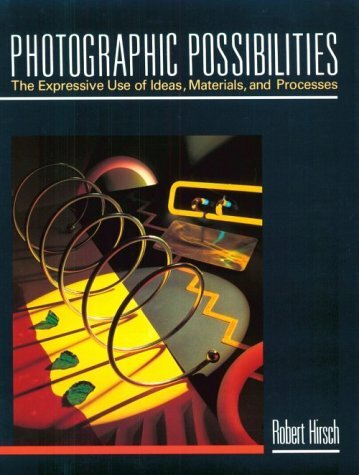 I have read many books on photographic lighting.If I could keep only one - this would be it. Note 1: I understand that the first edition (which I have reviewed) is the better of the two.The second was written to a larger audience.